I used some Heidi Swapp gold mist to create my background ... usually I have such difficult doing this but did my best. 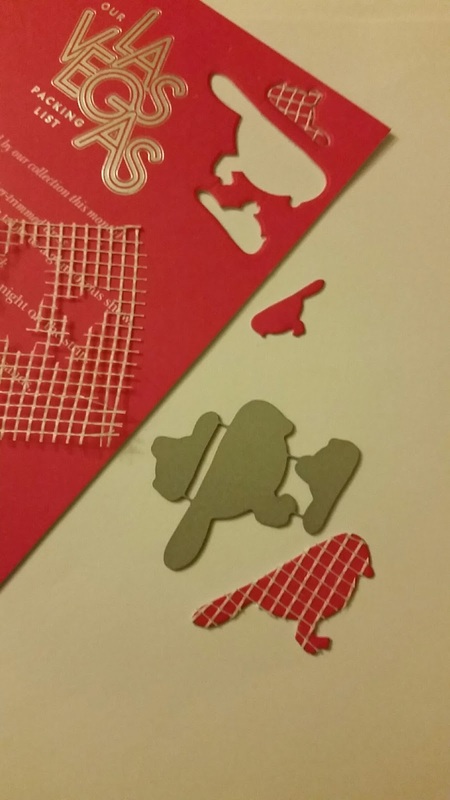 Then, I die cut the bird and used my unconventional material (can you tell what it is?) I added a Modern Basics sentiment in Versafine Onyx Black ink. To do some 'recycling' of materials, I even used a Kate Spade hot pink post card I received a while back to do the die cutting! Below you can see the unconventional material - do you recognize it? If you guessed drywall tape, you were right! It is a great lightly sticky mesh tape that die cuts beautifully and makes a great border too! If you have a moment, check out my gently used item sale *here*. I have stamps, ink pads and other things too ... even Papertrey products! Cool idea! I didn't know what it was until you said. Very fun!! Okay, I totally thought that was patterned paper!!! 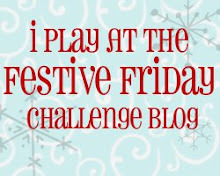 Great take on the challenge!! !